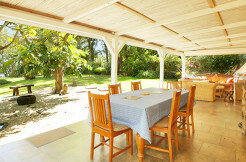 For Rent 390€ per day/ 2 pers. 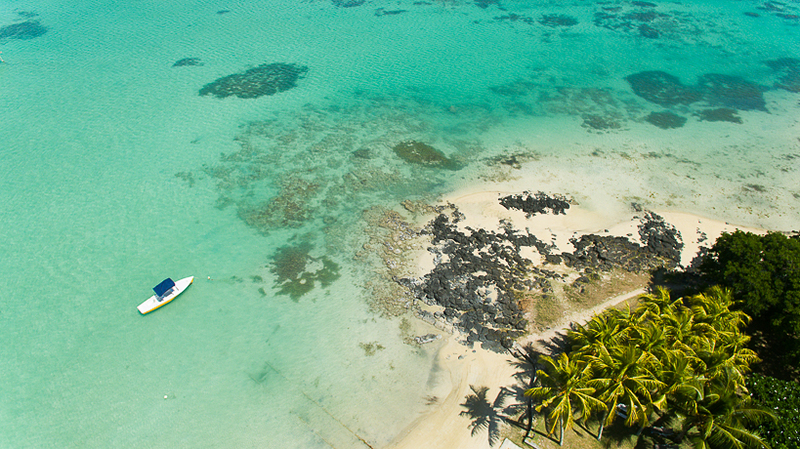 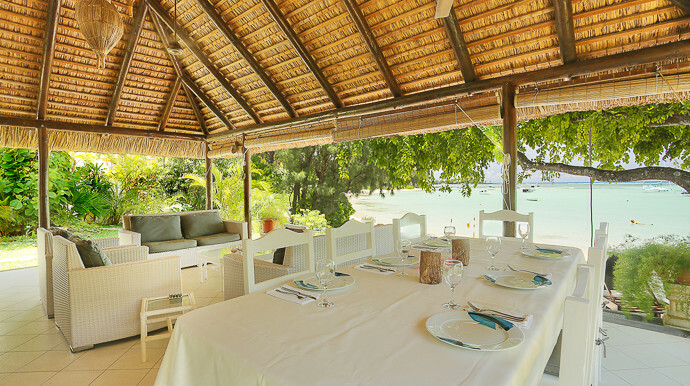 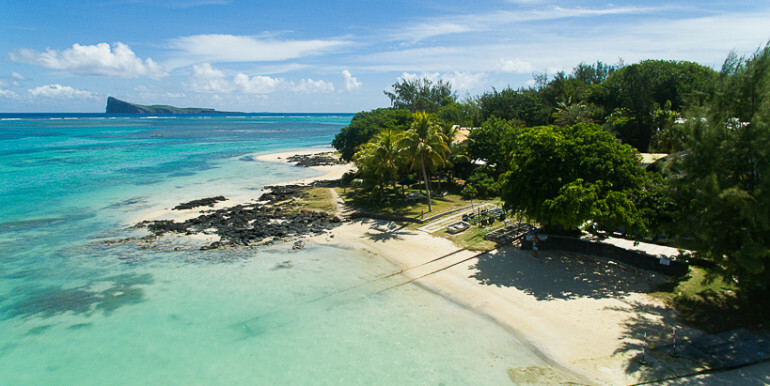 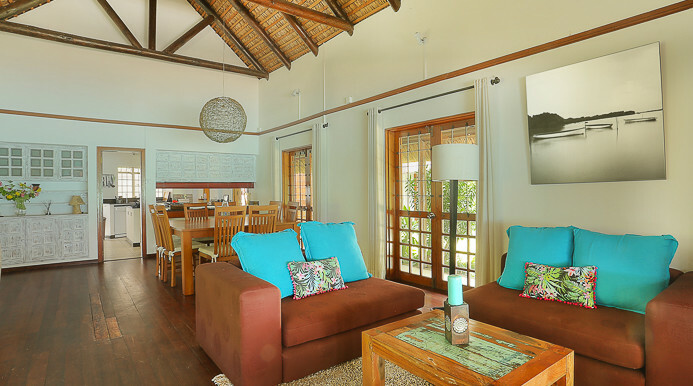 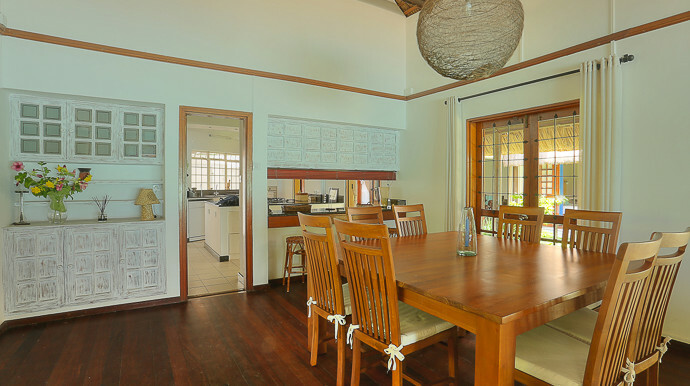 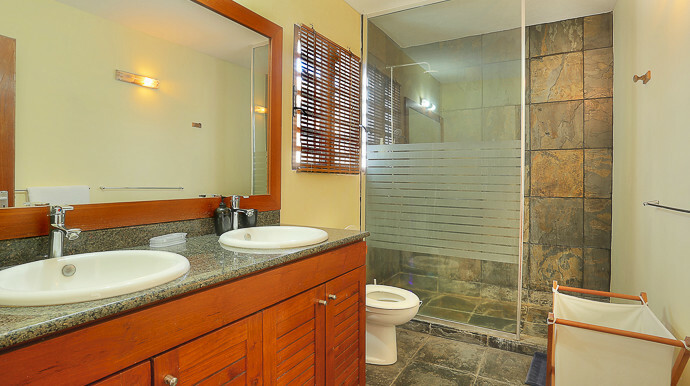 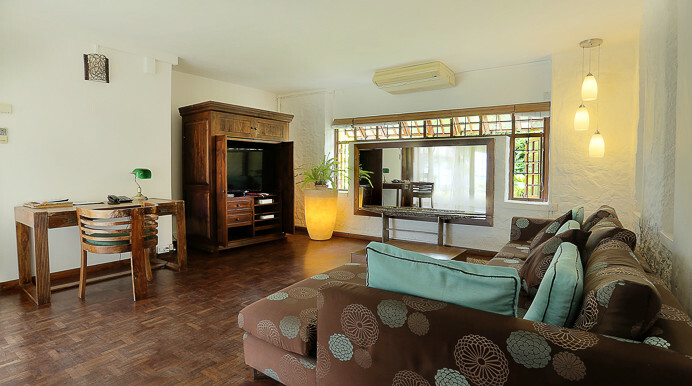 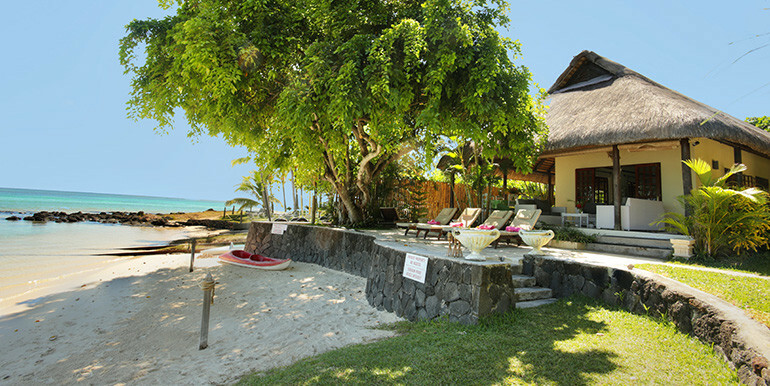 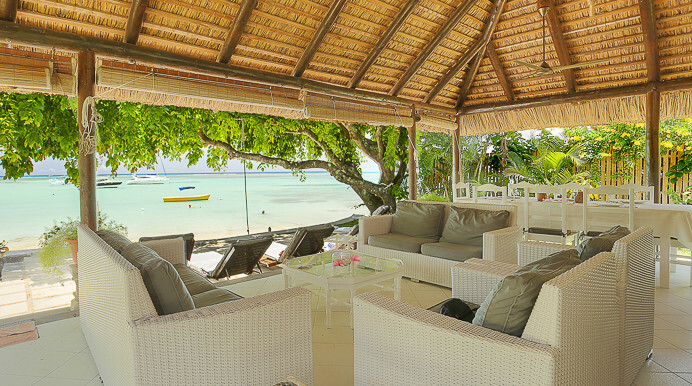 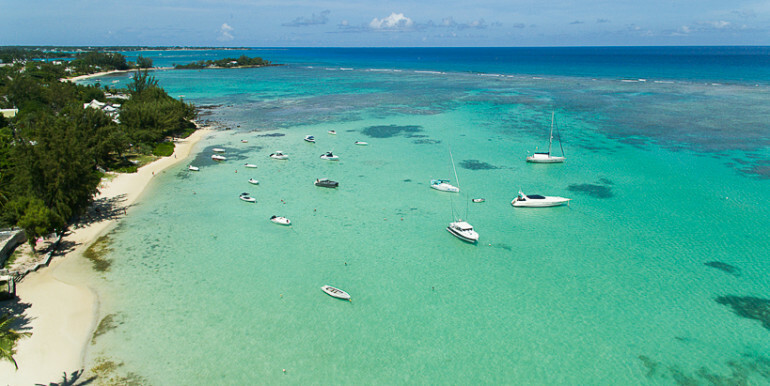 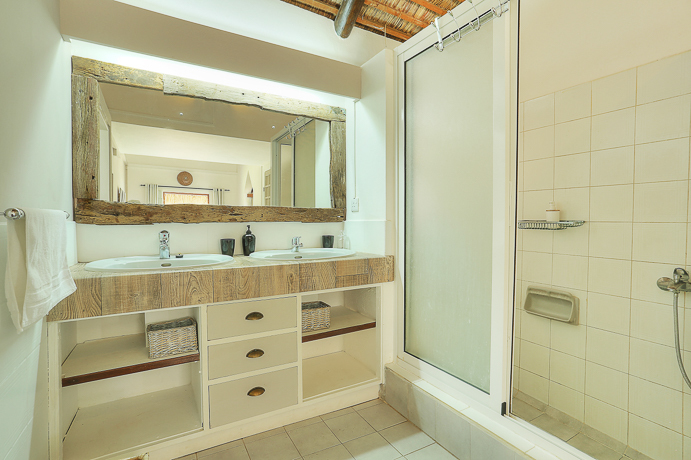 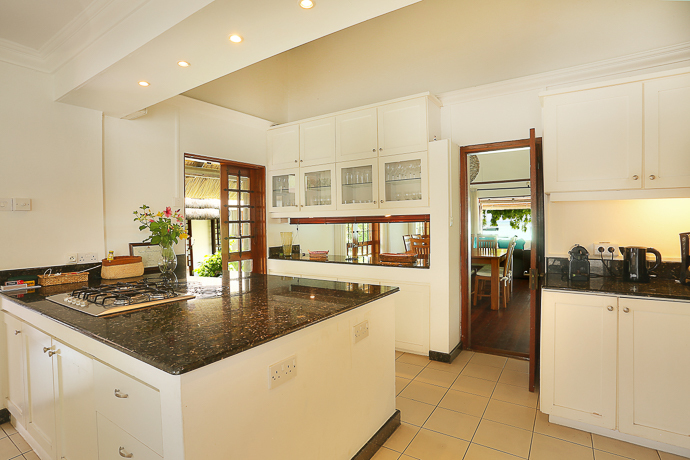 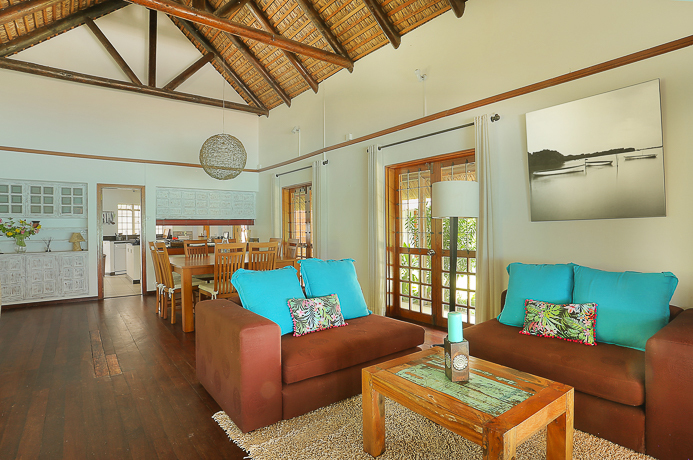 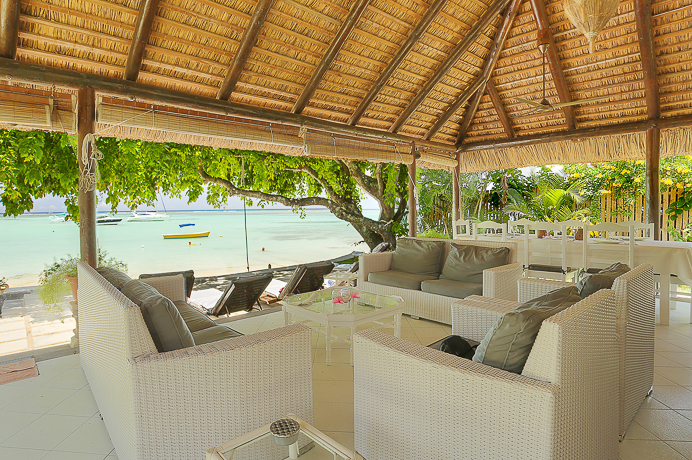 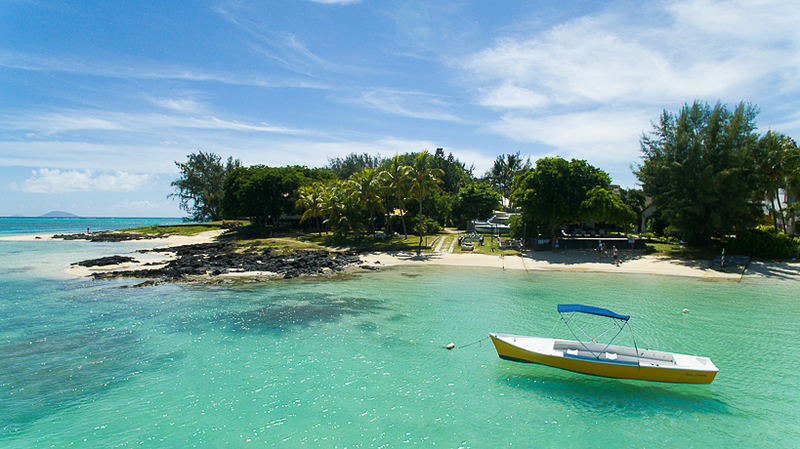 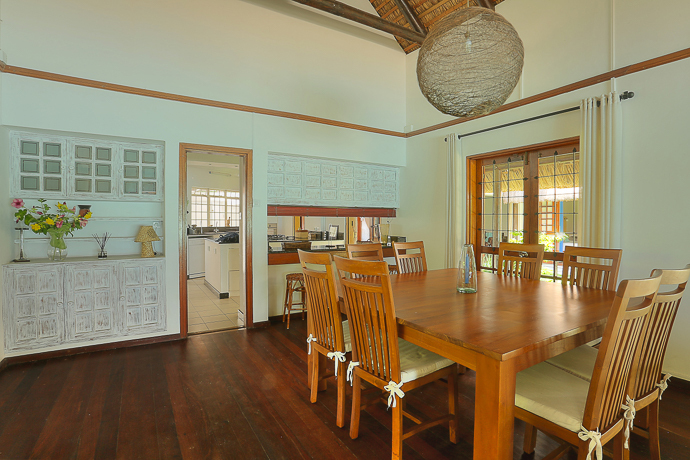 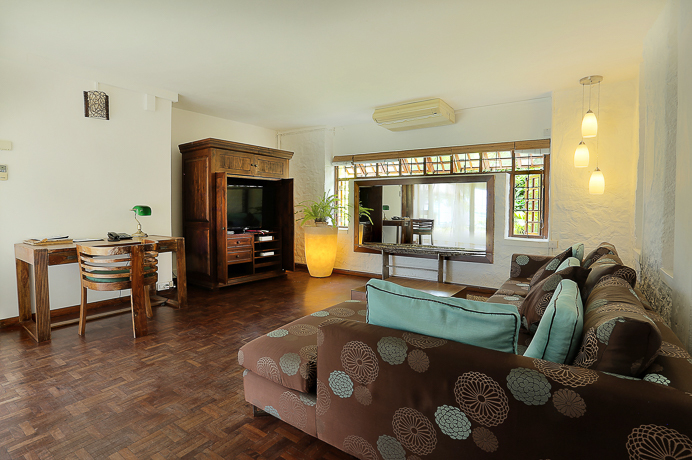 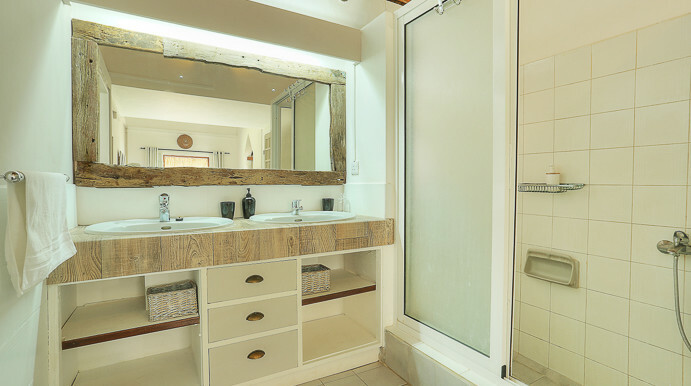 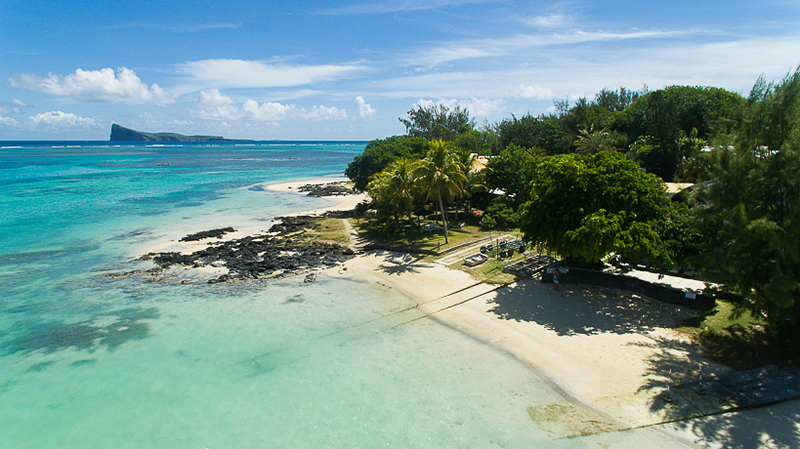 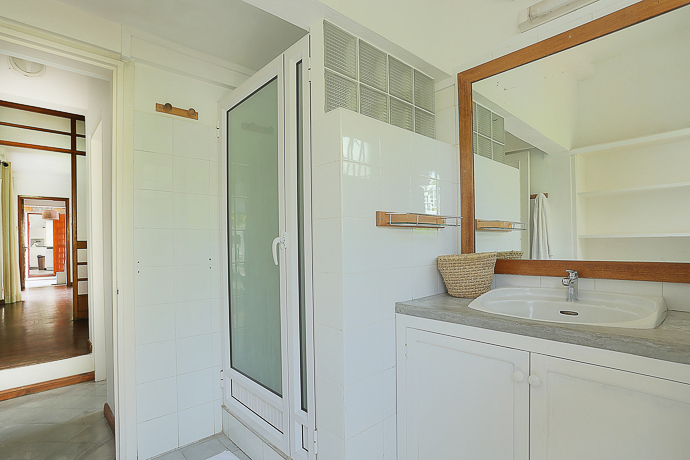 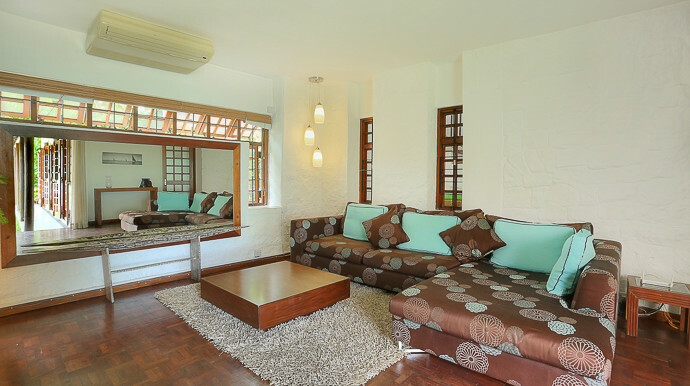 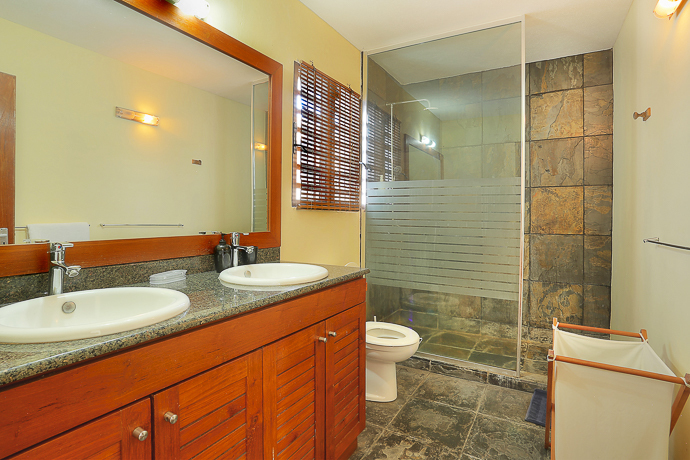 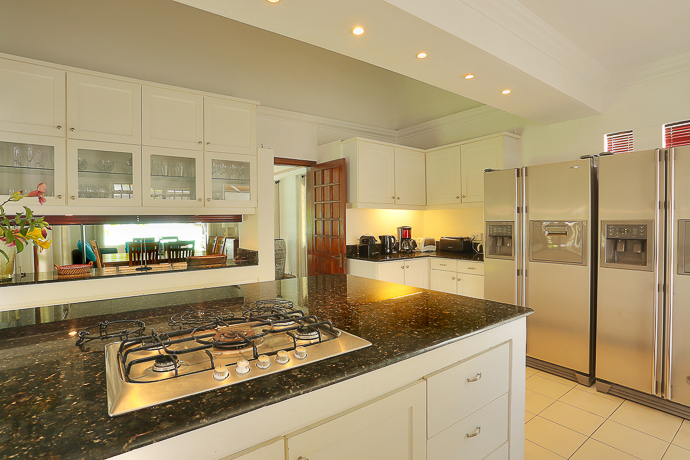 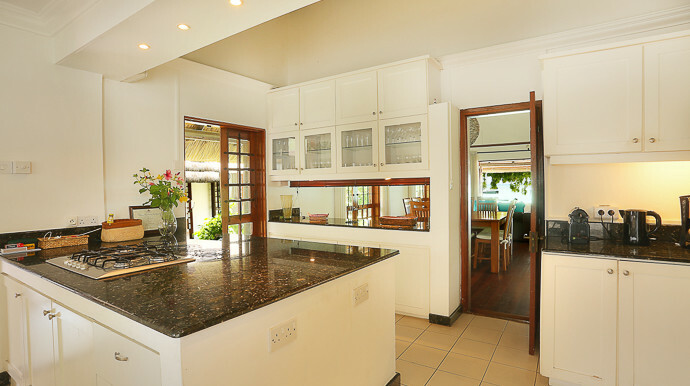 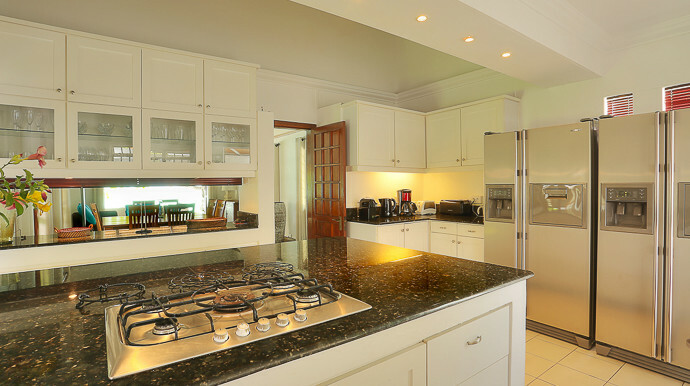 This luxury beach villa in Mauritius right at the water’s edge combines luxury and comfort at a very attractive price. 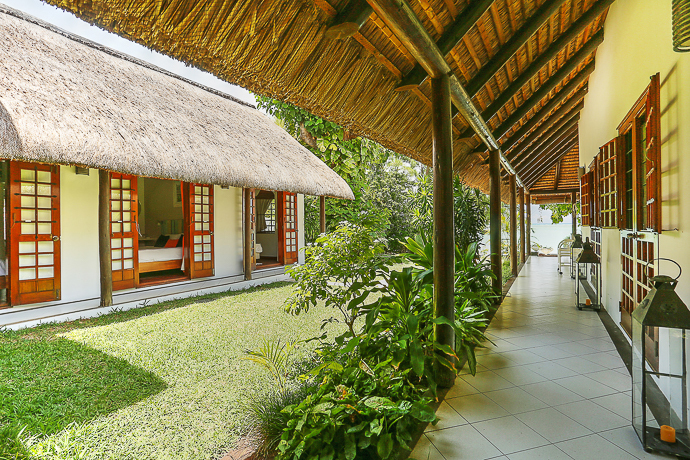 10 people can enjoy this charming house. 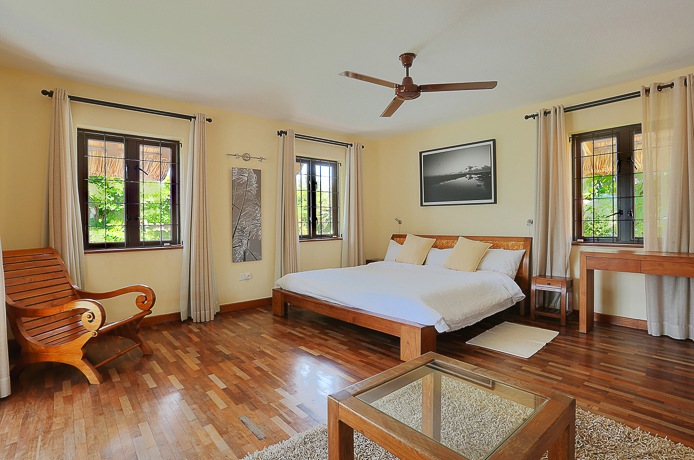 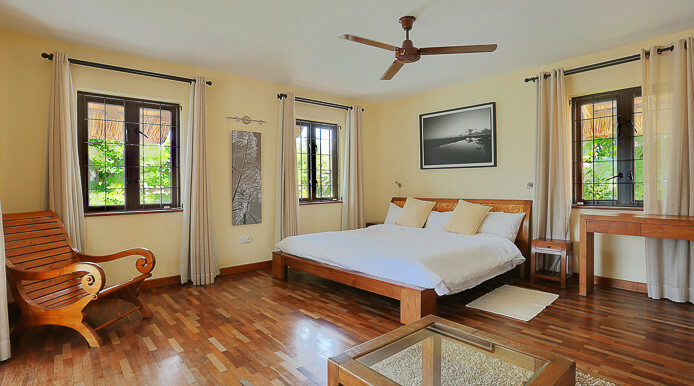 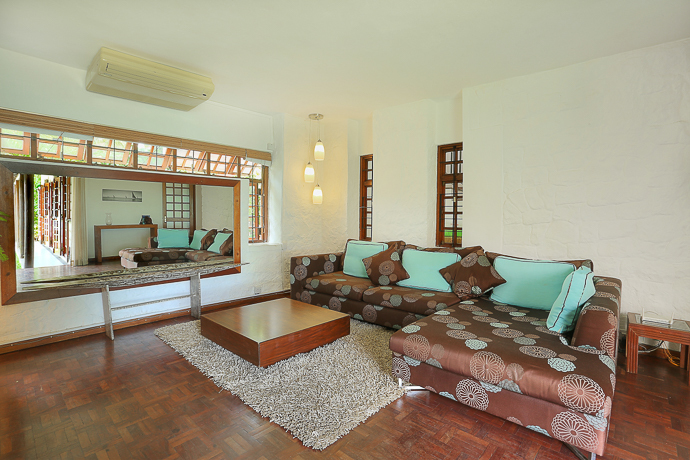 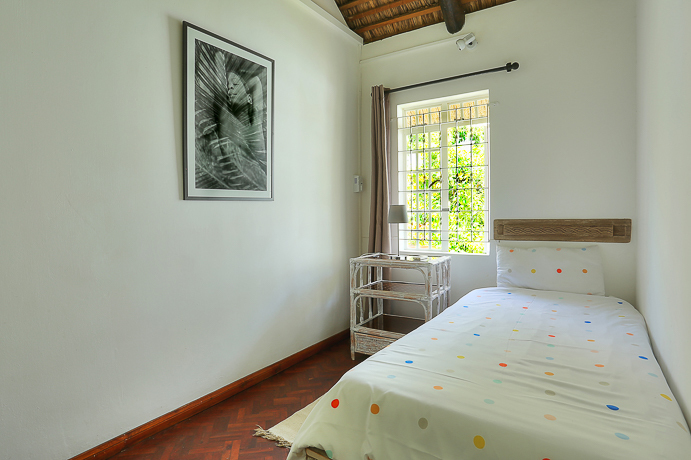 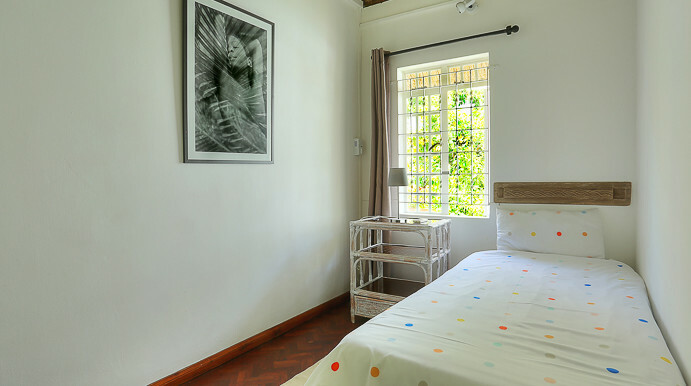 All bedrooms are well ventilated and air conditioned. 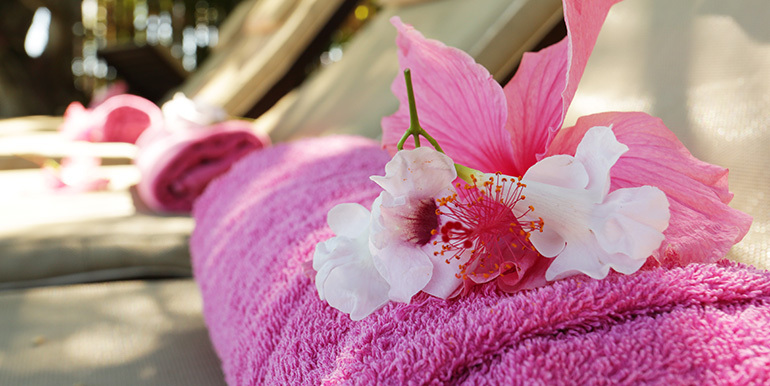 You can admire the changing colors of nature throughout the day. 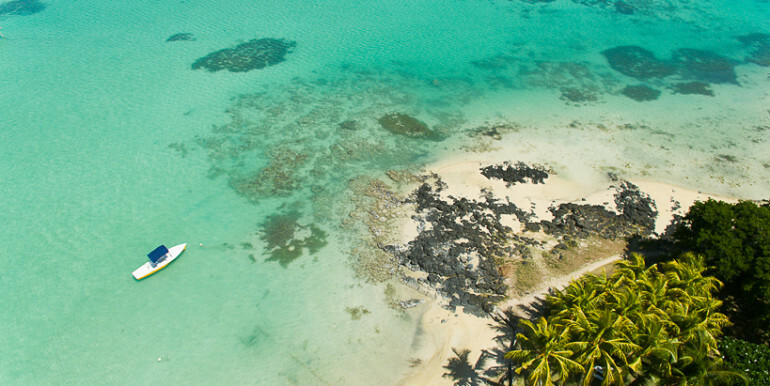 Colours of the lagoon change from mauve to pink at dawn, then from pale blue to dazzling turquoise during the morning. 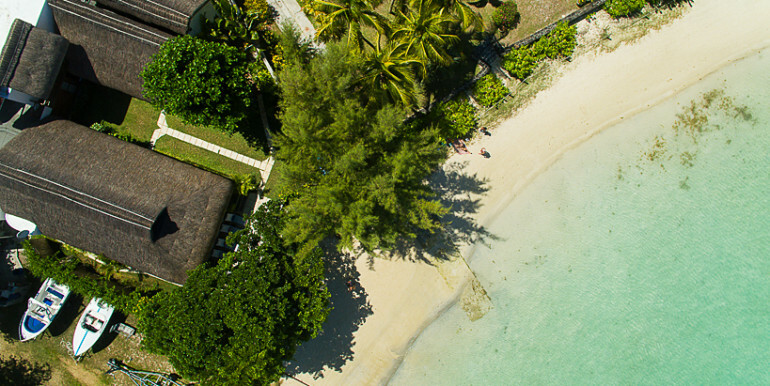 If your beach vacation coincides with the new moon cycle, you will have the chance to admire the beautiful crescent as it disappears behind the horizon. 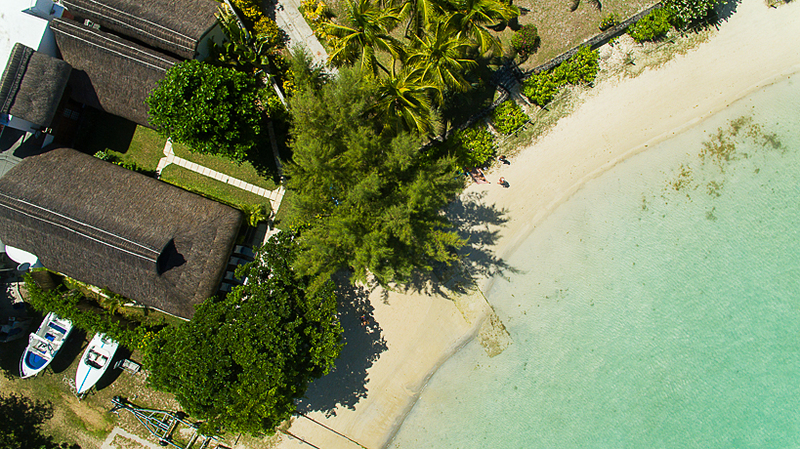 Three small steps lead you to the beach of soft, fine sand. 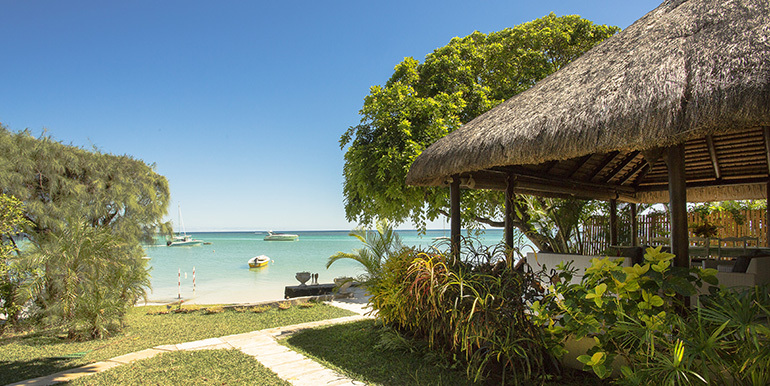 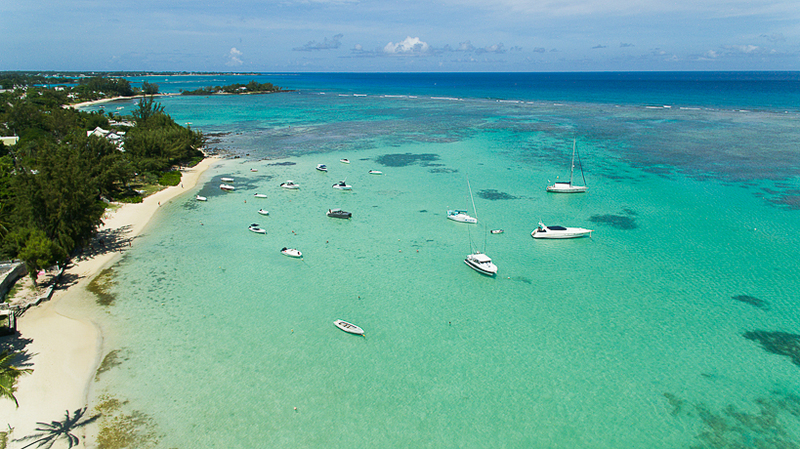 The exceptional swimming area inside the lagoon provides security at all times. 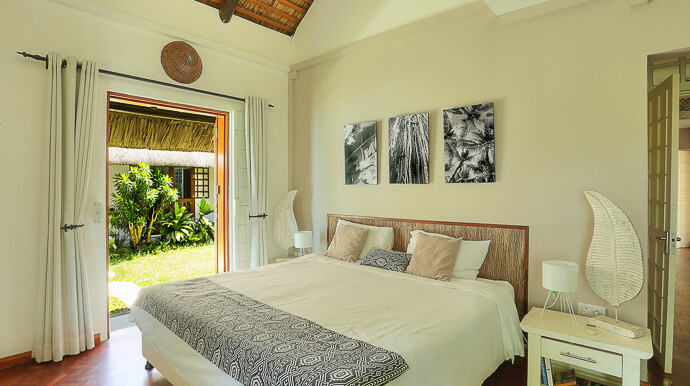 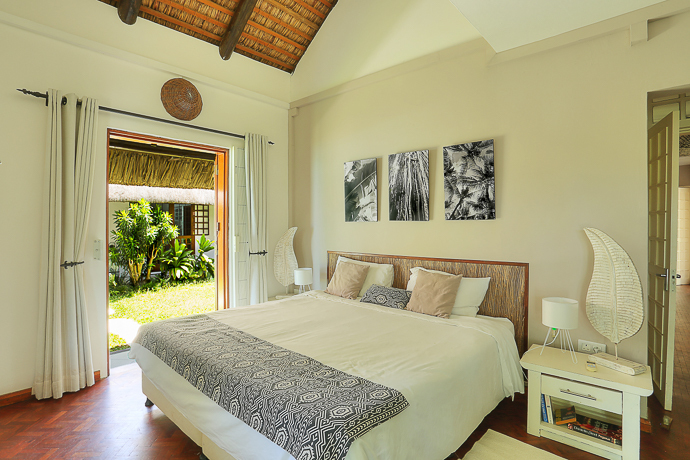 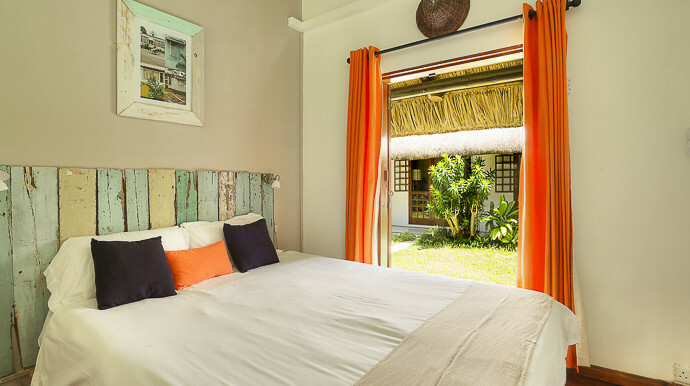 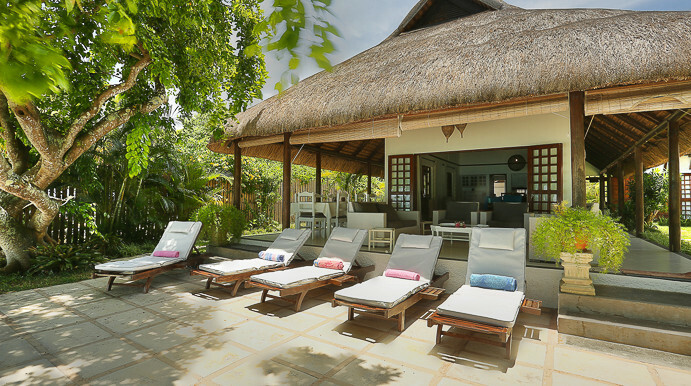 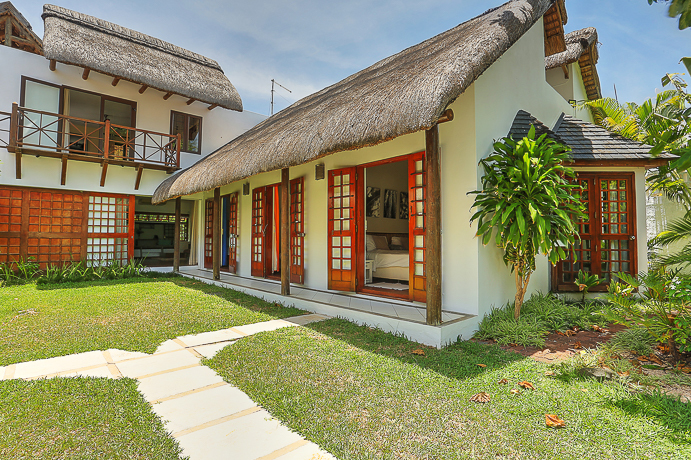 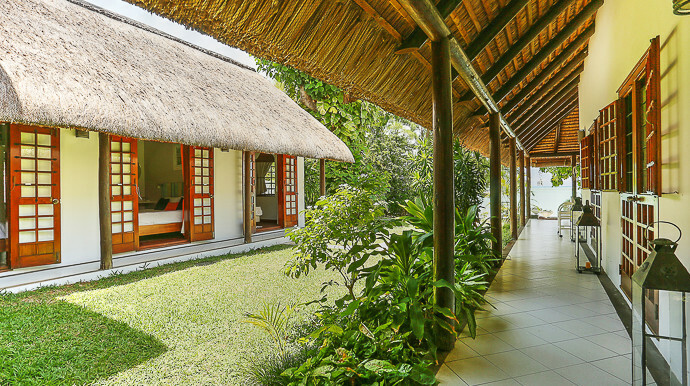 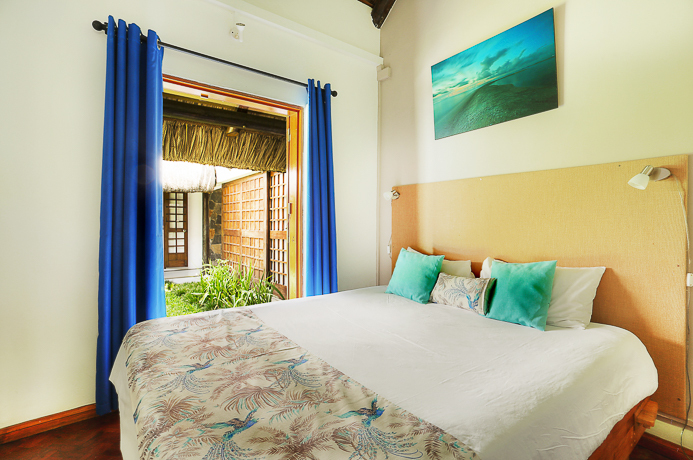 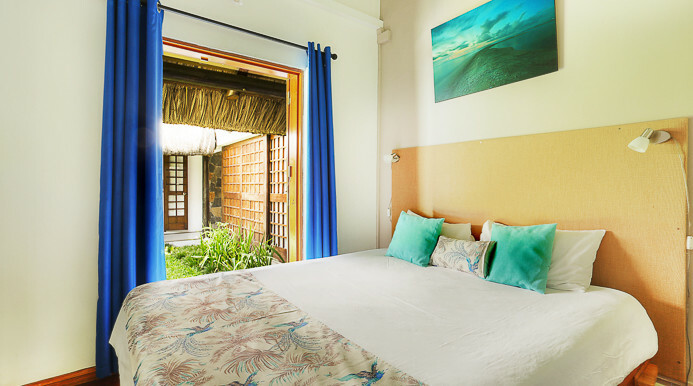 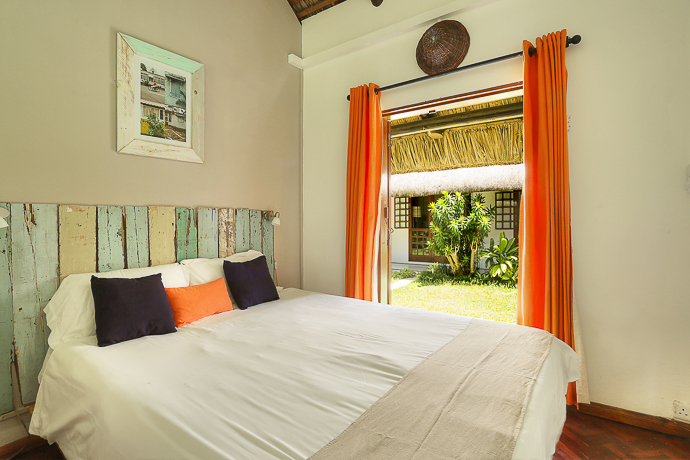 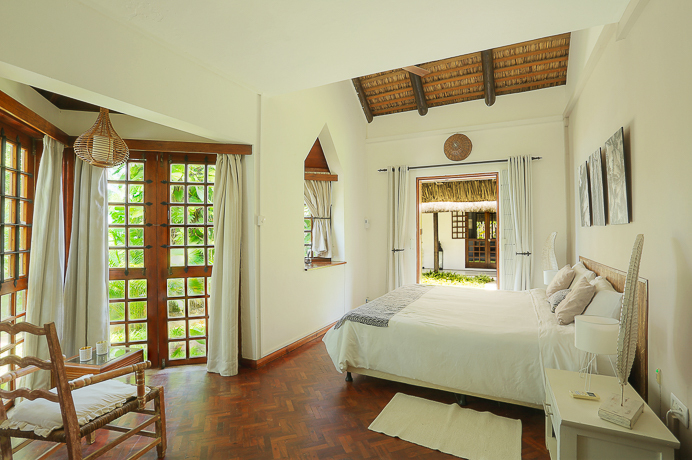 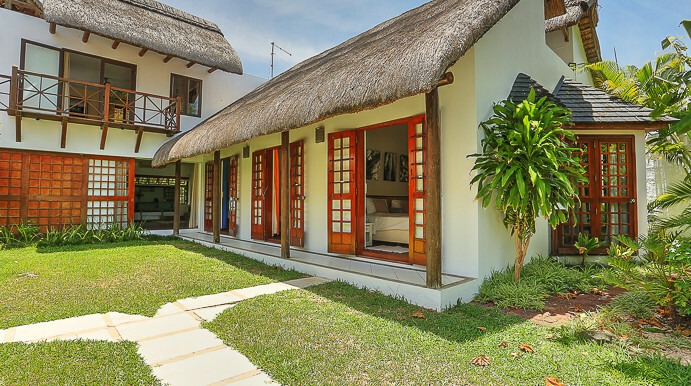 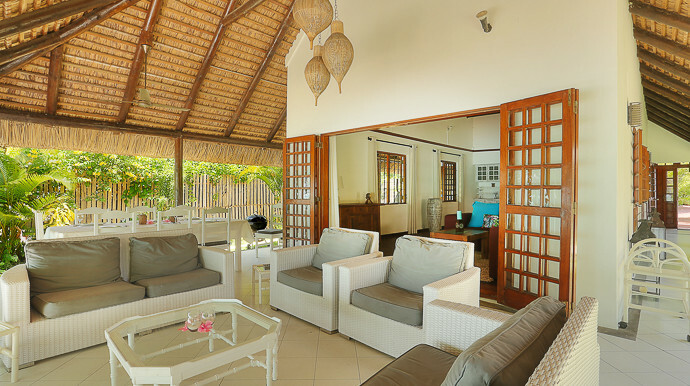 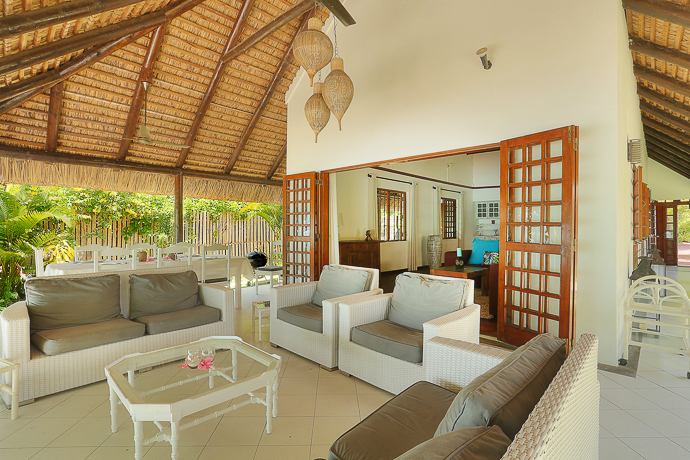 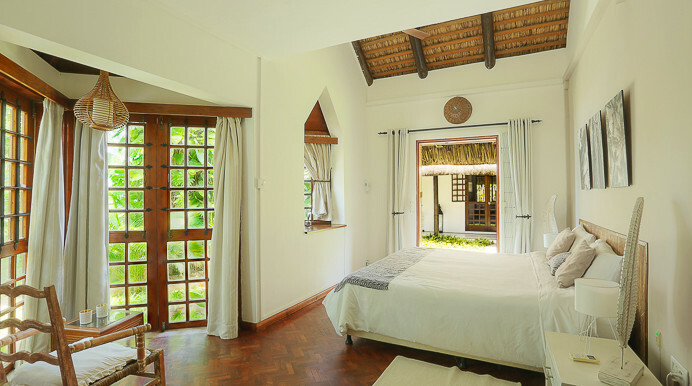 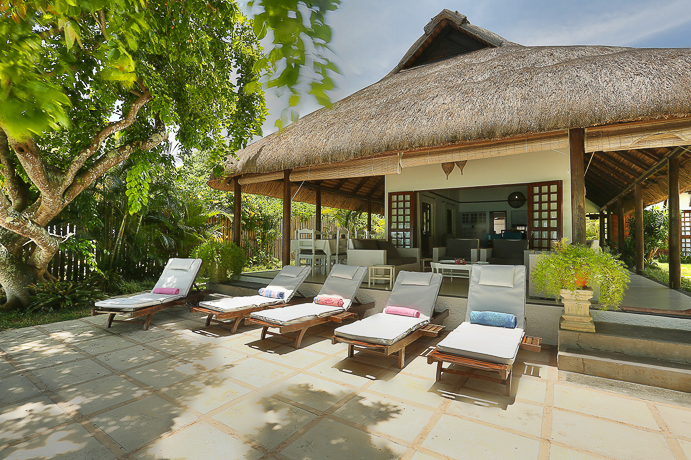 The “tropical” style of the villa is most charming, with a thatched room and attractive exposed beams. 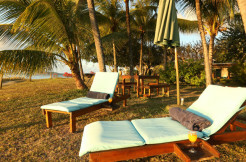 For an even more relaxed dream holiday, Marie-Claude and Priscille take care of the housework and ironing. 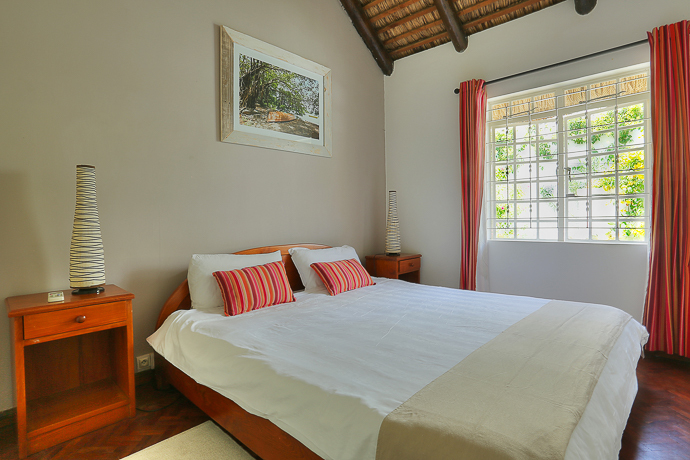 The beds are made and the kitchen tidied up. 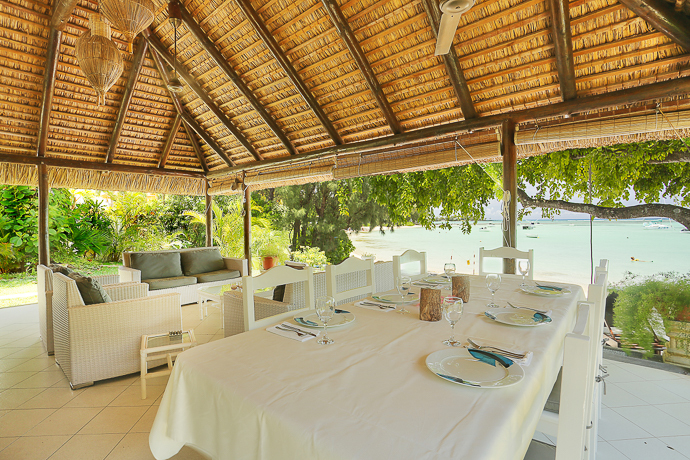 Should you want to taste some Mauritian dishes, you can make arrangements directly with them. 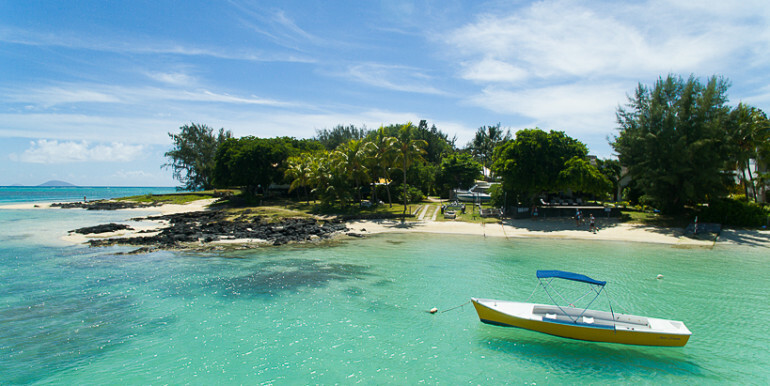 For boat trips, fishing and …..”bouee tractee.”…. Sooben, Henri or Robert will come to collect you right on the beach. 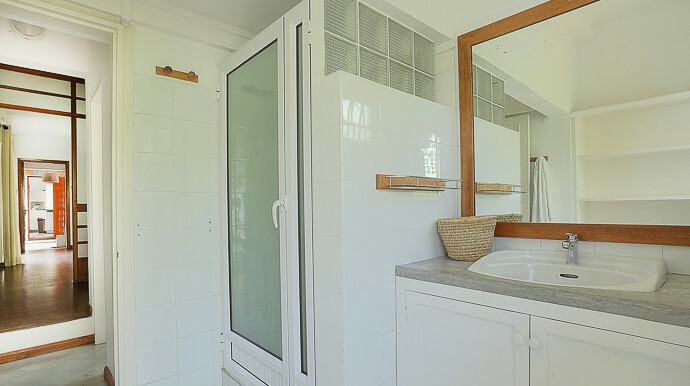 For any additional person : 25 euros per day. 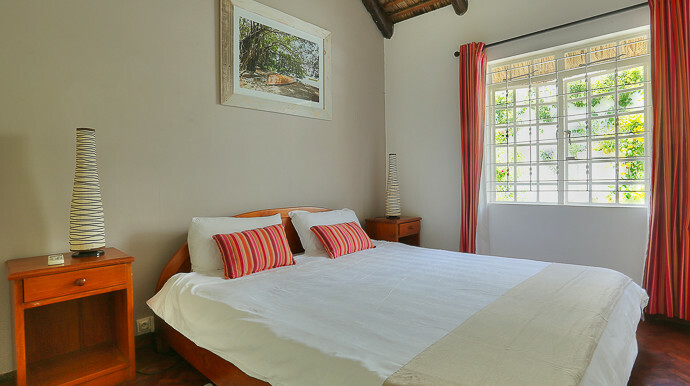 160€ per day/ 2 pers.